Attorney Michael S. Kearns has been practicing law since 1993. Mike is a partner in the law firm of Gerner & Kearns Co., L.P.A. and is licensed to practice in Ohio and Kentucky. He concentrates his practice in the area of real estate law, with an emphasis on examining titles, curing title defects, closing real estate transactions and handling foreclosure proceedings. He has significant courtroom experience and often serves as local counsel for other attorneys. He is well respected for his professional manner, his attention to detail and his extensive knowledge of real estate law. 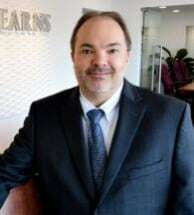 Additionally, he is a court appointed Registered Land Examiner for the Common Pleas Court of Hamilton County, Ohio due to his skill and experience in the examination of titles to real estate.